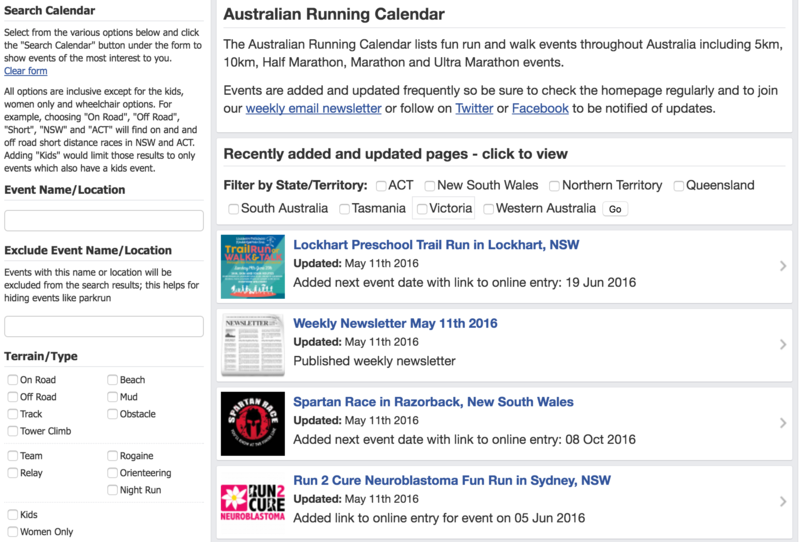 4 Online Running Calendars Around the World Runners Should Bookmark | JustRunLah! 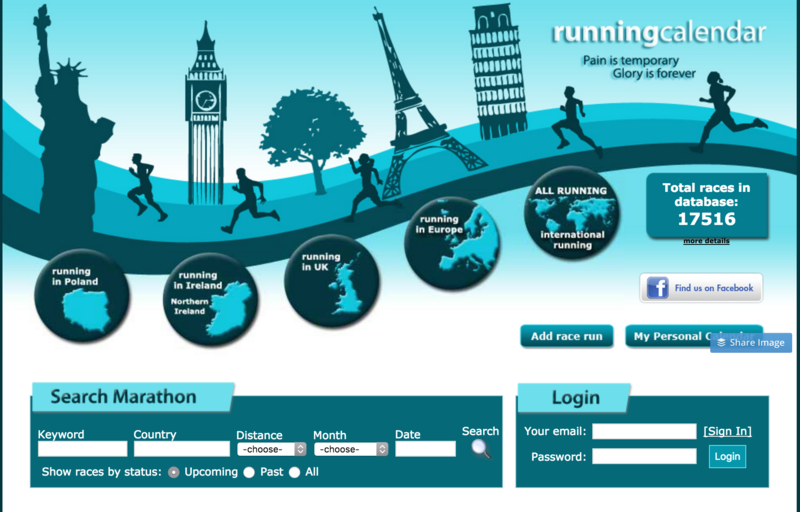 Foodies want to try the local delights, shopaholics search for shopping districts, while runners, well, we like to run. 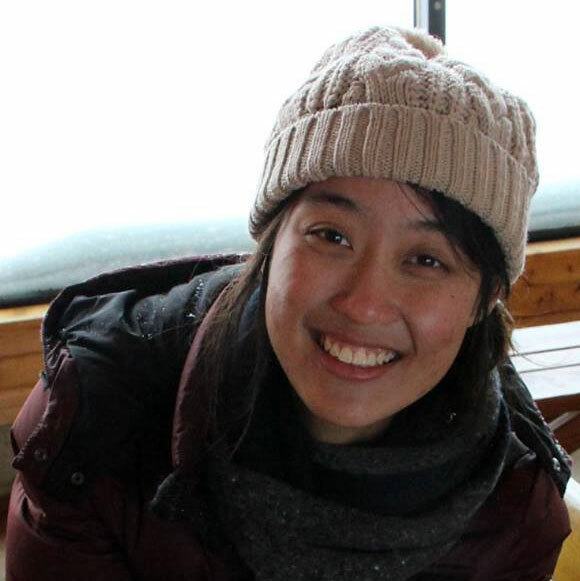 That’s the most familiar yet adventurous way to get to know the country and its people. They’ve got historical sites, amazing architecture and possess the most distinctive of cultures. Yet going from UK to Ireland to Poland to the other part of Europe can cost a couple hundreds. 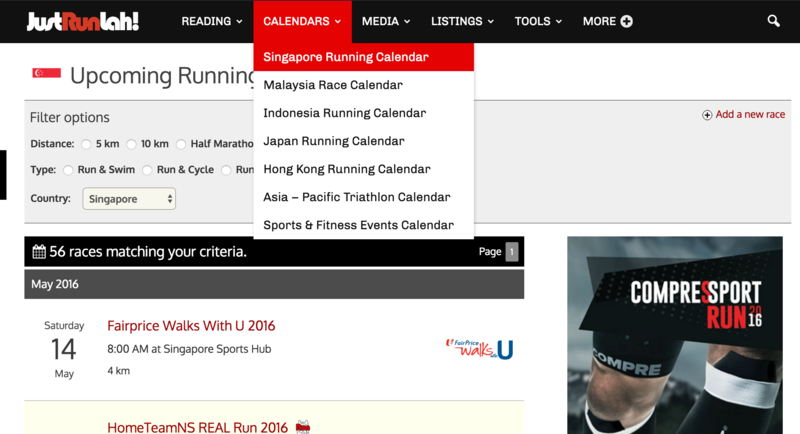 Runningcalendar.eu allows you to search by country, distance and month. Enter your keywords to search for the specific races you want and you’d have a filtered list right away. America is a huge country. It has also got the most beautiful national parks with various terrains, climates and distances. This makes planning your next race in USA both exciting and overwhelming. 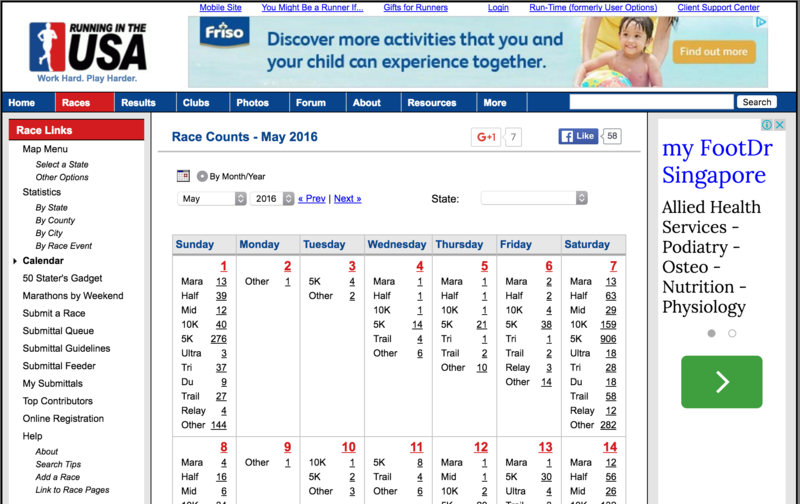 Running in the USA is a calendar that categorises the runs by states, city and event. It is presented in a calendar format and when you open each date, it gives you the entire list of races happening all around USA. Talk about having an overview! This is a very comprehensive calendar. Not only can you filter by distance AND country, you can also select race types you want to go for. Whether it’s run only, run & swim/cycle, run & others, we’ve got it covered. There’s even a “other sports” category that gives you a fun list of fitness events to go for such as Yo! Fit Life and ActiveSG Running Clinic. If you see the JRL logo beside the event title, it means there are special rates for our readers. Check them out! RunningCalendar is really detailed about their filters. They allow you to filter by terrain type or use more specific filters such as “kids” or “women only.” Click onto the link and you get event details such as registration links, official website and social media handles. Australia is such a scenic country with a taste of local culture that is unique to the city, so you get to search by cities as well. Their list includes charity runs, obstacle courses and a variety of other race types. So the next time you book a trip or a hotel, be sure to check out these sites to select your next destination!